There's a nice exhibition of photographs by Karsten Thormaehlen on at the Haus am Dom. 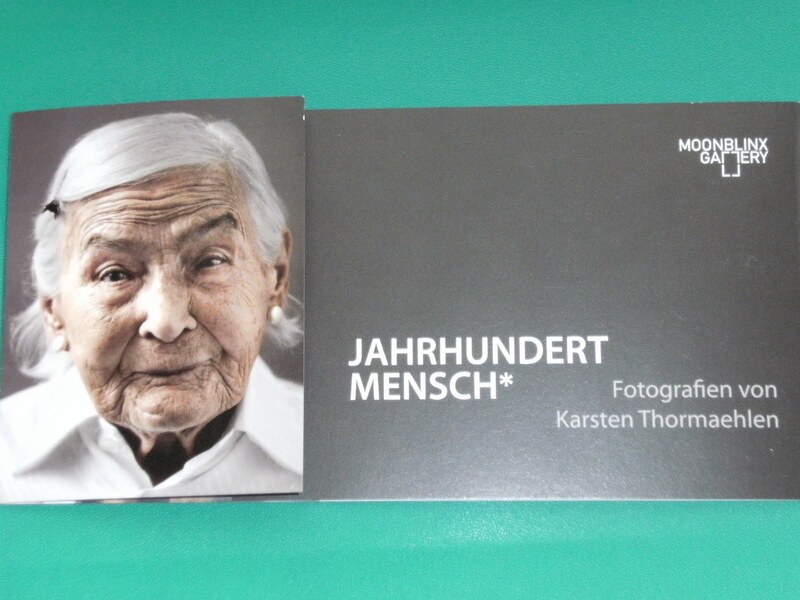 It's a display of phots of people who are 100 years old or more, with their words quoted on the reverse of the enlarged pictures. Erich Buettner, born November 3rd, 1907, says "Etwa 20 Glaeser Beinenhonig pro Jahr und taeglich einen halben Liter Milch. Sport ? - Mein Sport war die Arbeit im Laden". About 20 glasses of honey each year and a litre of milk per day. Sport ? My sport was working in the shop. For those among you who are German speakers... I apologise for my computer's inability to produce umlauts. Where one is required, I have followed the vowel in question with an "e".